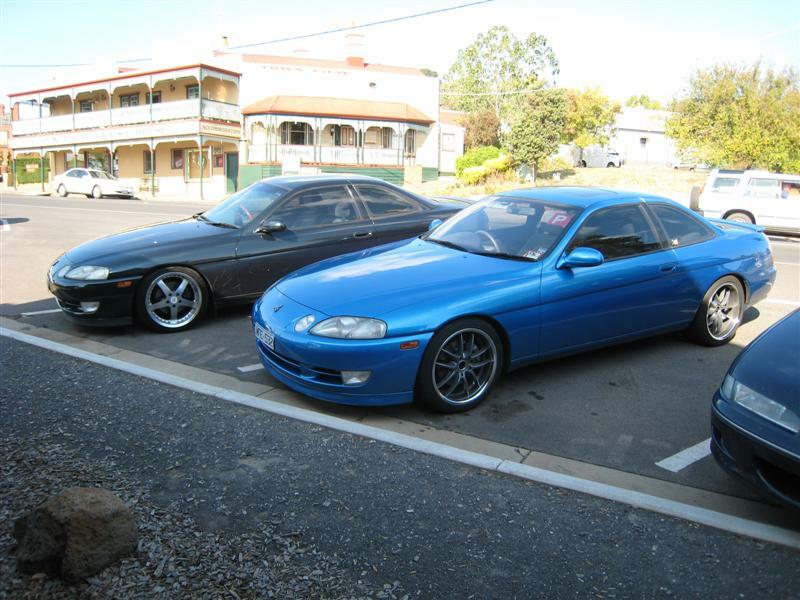 Soarer Central: Vic Cruise 19-4-08. Story and pics! Today was the day for the April Victorian Cruise organised and led by yours truly. Myself and my partner arrived at the meet point around half an hour early and went inside to grab some Maccas before the others arrived, only for Daniel and Wafi to arrive just as I took a bite out of my Big Mac. 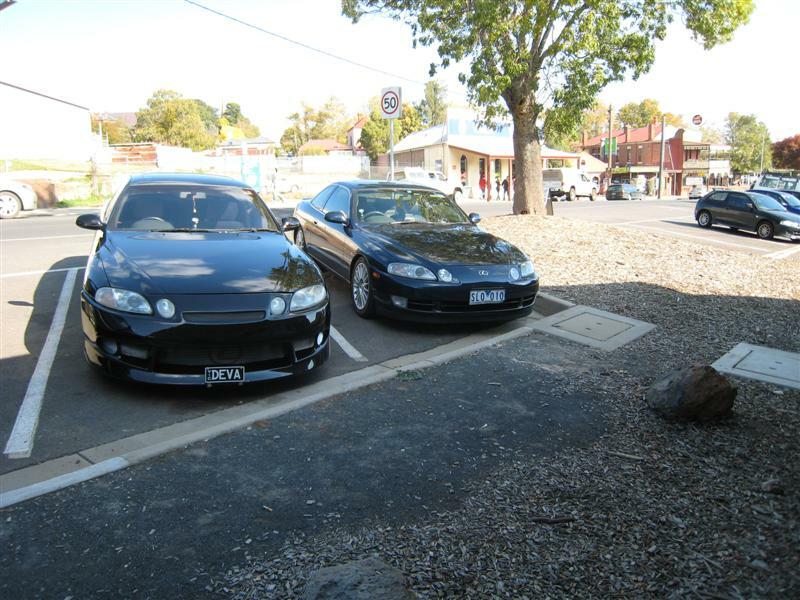 Diggler and partner rocked up a few moments later, followed by Prayag and his younger sibling in the single turbo, and James in the TT with one of his mates. 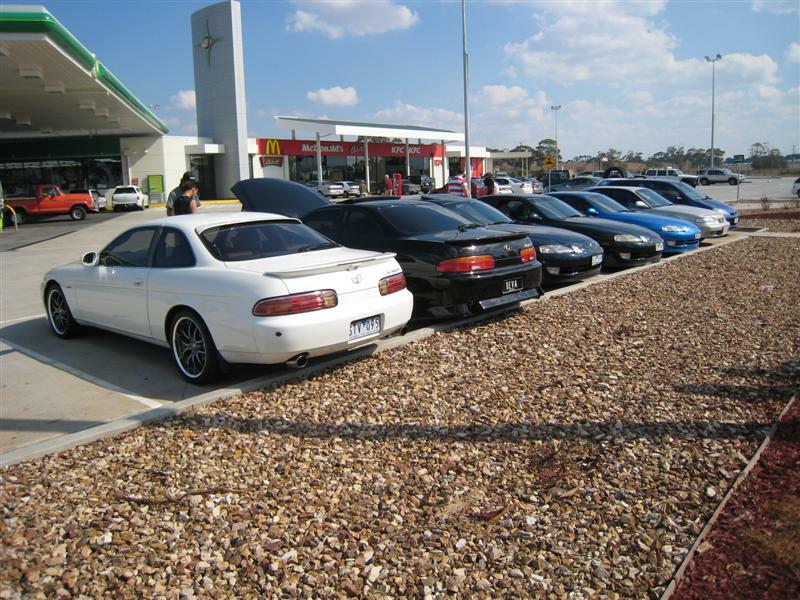 Pretty soon the introductions had all been made, and we were all out in the carpark at the Calder Park service centre chewing the fat and checking out each others' rides. I'm sold on Daniel's exhaust setup (thanks! ), so hopefully that will be on the cards soon enough, funds permitting. After 45 minutes it was obvious that nobody else was going to show, so we made a move north on the Calder Freeway in the direction of Woodend. I must use this point in my ramblings to say just how damn awesome 5 Soarers look heading up the freeway in single file - the sight is enough to get me on every cruise I can possibly make. 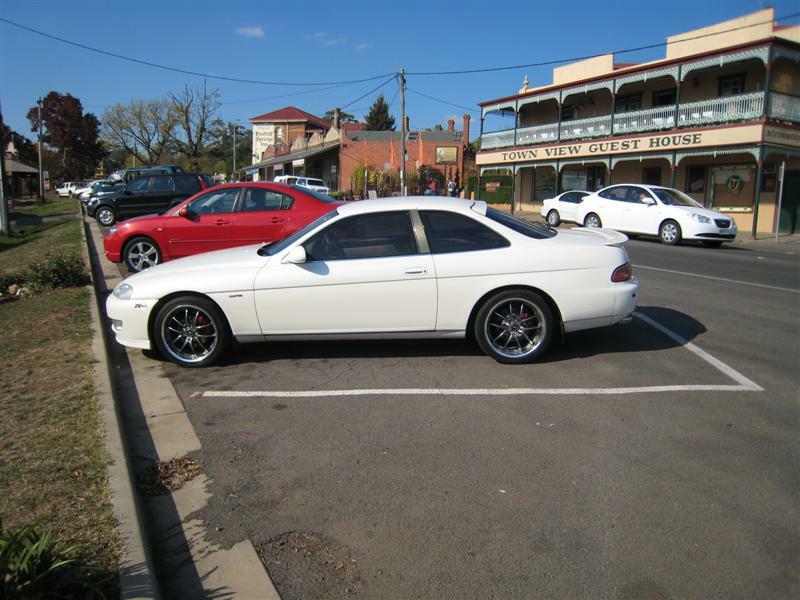 We peeled off the freeway on to the old Calder Highway near Woodend and gently cruised through the Black Forest area. Woodend residents were treated to the image of the Soarers, while we rolled through town to the Daylesford turn-off. 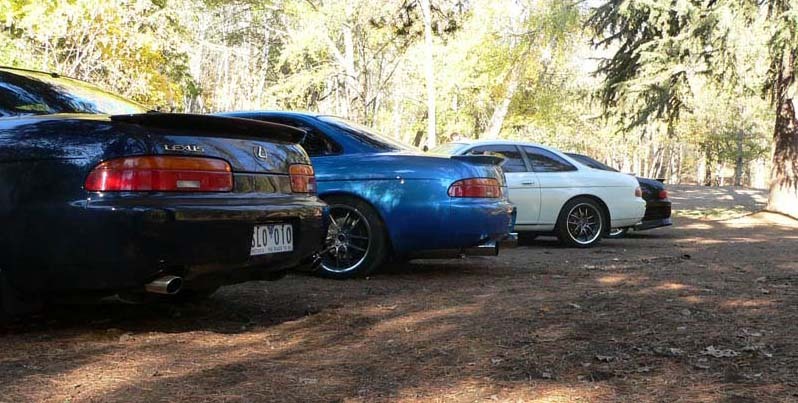 The drive meandered through the Hepburn Shire region, with all 5 Soarer drivers taking it pretty easy (except I did get in trouble from the lady friend for my foot on the floor 2-car overtake). We arrived in Daylesford, found parking, and wandered off for a feed. I'm not quite sure what the others had but we decided on a nice healthy cafe since we'd eaten McShit for breakfast! I also bought a pack of chilli venison jerky from a local butcher, and we've devoured most of it already. Ask Wafi - it was damn tasty. We continued to Mt Franklin where a few photos were taken (great spot for some photography). After a brief spell the group went on to Castlemaine and stopped off for a drink and a break in one of the pubs before trickling off to our various abodes. I led the group back to the freeway at Elphinstone before I took the left turn to head back to Bendigo, and the rest of the crew headed on back to Melbourne. I hear it was a nice easy drive home, which is good to hear. 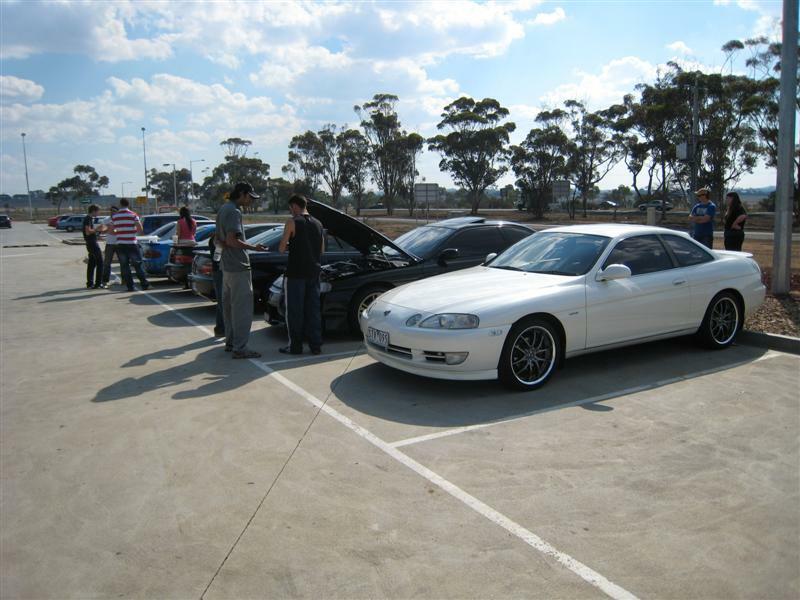 All in all, no damaged cars, no demerit points lost, and a good time had by all. It's nice to sometimes have a nice cruise at a relaxed pace; not everything needs to be done at breakneck speed. Thanks to the participants for a great day out. I can't wait for the next one! I just hope we get a few more, since 5 is a pretty awful turnout. 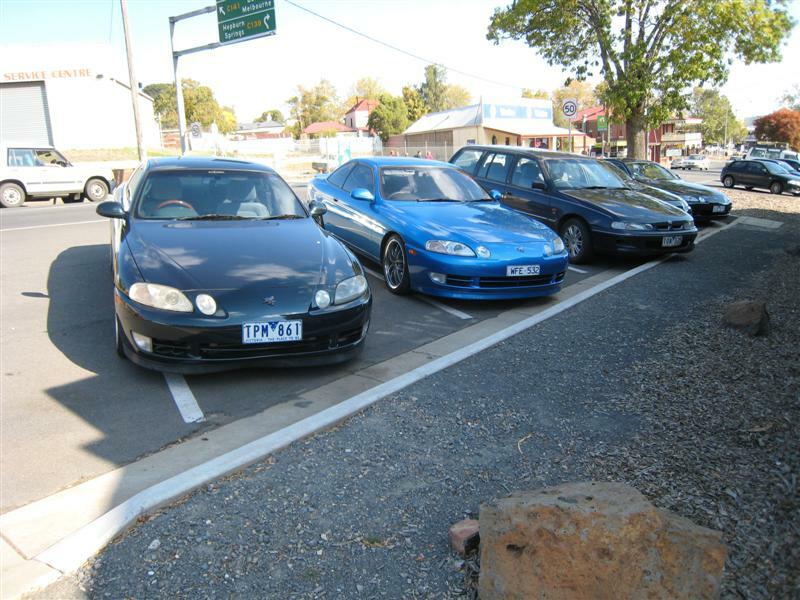 From the left: Morgan's TT, Prayag's single turbo, Daniel's '31 V8, James' TT and my '31 V8. 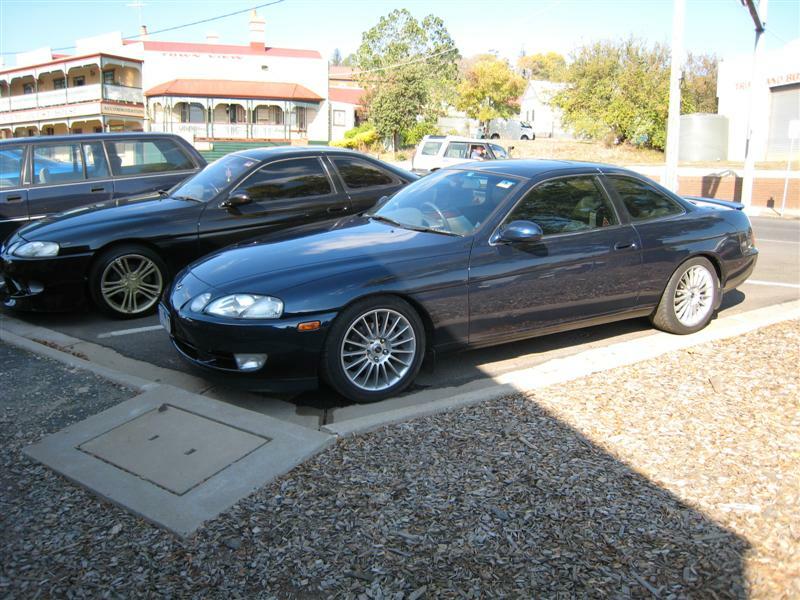 me and MY BROTHER had chicken parmagiana and pizza respectively in TAB in Daylesford..
and James blew plenty off stone chips onto my car on the new freeway start.. ohh well, it was a good cruize overall.. Here are some photos that i took, not that many. 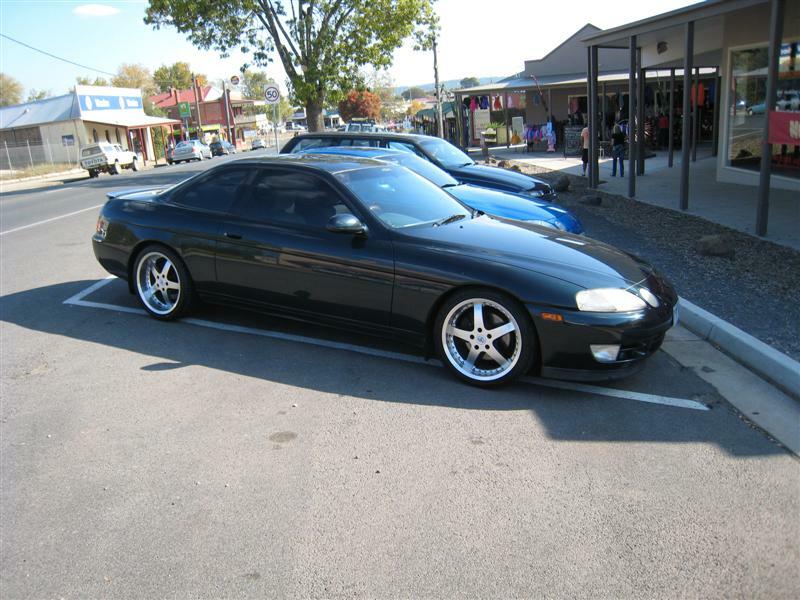 NICE JZZ30 there James!! Would've been awesome, wish I was there. 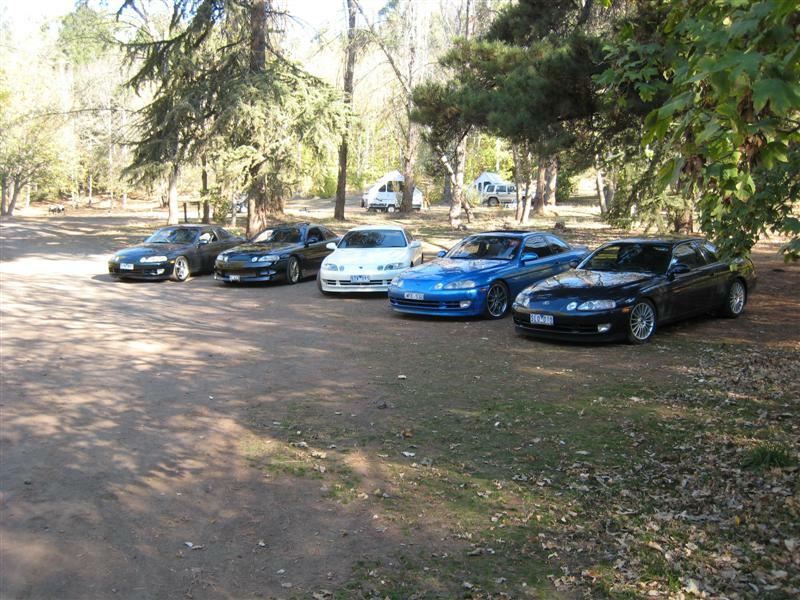 Cruise was a good turnout, thanks to Daniel Lee for bringing me along. Was good to meet you Glen and also everyone else that was there. Yeah Glen that stuff tasted pretty nice lol! Damn. Ooops! And I hope your lunch rocked! By the way guys, the pictures are great! 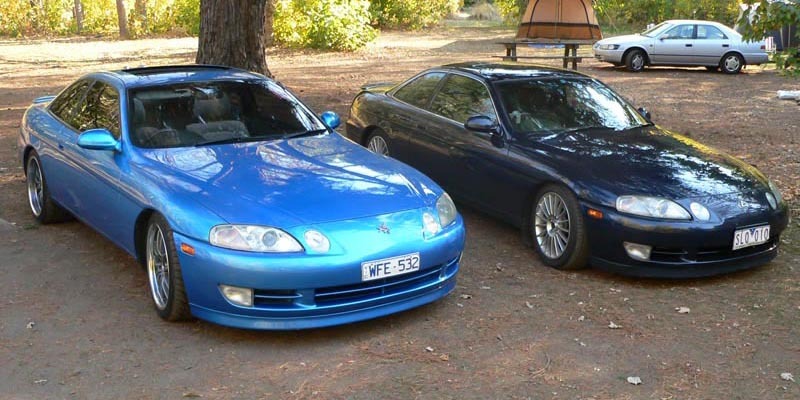 The ones taken up in the top of Mt Franklin look fantastic, I might send a couple to my Soarer's previous owner to let him know the car is in good hands. It is always good to see some "post cruise reports" and pictures ! Great thread and some excellent pics and car in there boys. 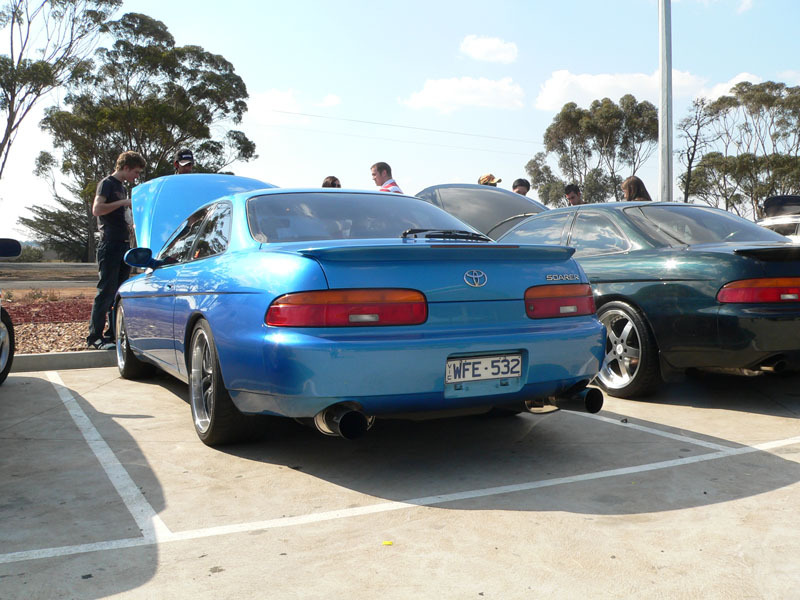 Love that colour James and your exhaust system (aristo wasnt it?). 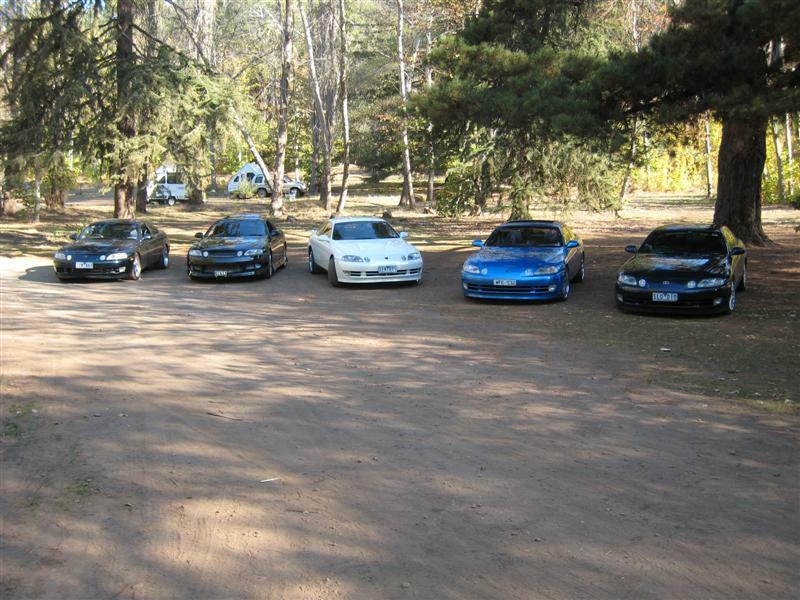 You dont always need a big crew to enjoy a great day of soaring through the country side. anyone know what rims are in the fifth pic? The first thing is to have pics that fit on the screen for most people, hence the 800 pixel width limit. Given that, screen resolution isn't all that high, so a file size limit is appropriate. The problem is that people go out and buy a 23gazillion megapixel camera because it's "got to be better" and take high res pics that would normally require viewing on a screen the size of a dining room table. The magic of modern PC's auto-reduces the images to fit on a screen in most cases, so the user is often blissfully unaware of the total waste of resources. However it's my job to be aware of these things, and to keep in mind that a thread might have say 10-20 images, if they are all eg 1Mb in size, then that's a 10-20Mb download just to view the thread. And 1Mb images aren't big by todays camera standards. It's like your car can go over 180kph, so why have 60kph speed limits? 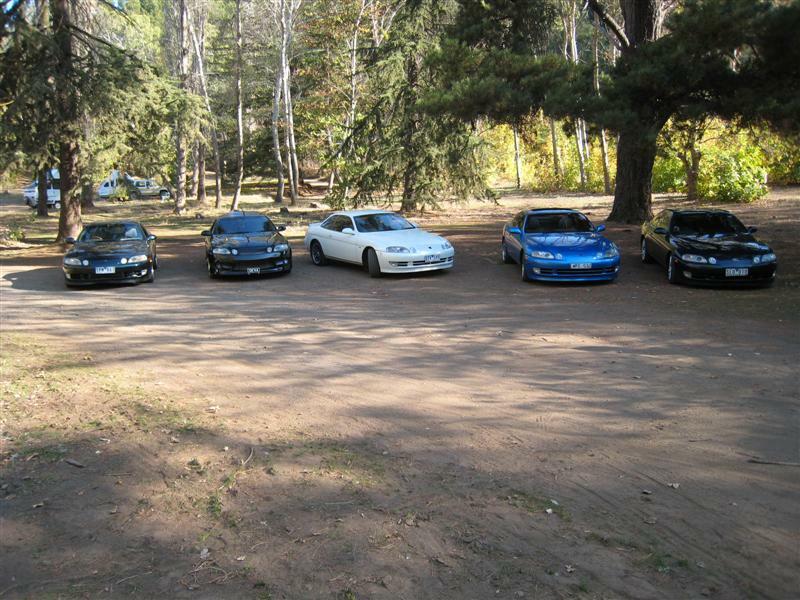 Mainly for other reasons than just the cars capability to go fast. Been great ever since! Pictures can still look excellent if you down size them properly. Keeps for faster uploading, and downloading of pages which is what we all want! Awesome! Id like to do something like that. 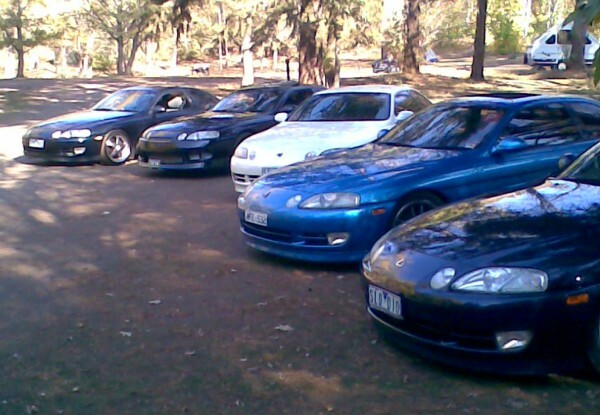 but the canberra scene is dead. maybe in summer they will start to drive more. The rear offset on these rims is +42 just for you information. I have the white version in 19" and i love them. Good work boys, looks likes a great day out. James, would i be able to put them straight on, or would i need to make some adjustments?